Come visit us in our brand new, state-of-the-art facility at 2222 Ventura Street! Enjoy the benefits of a world-class luxury vehicle with sophisticated performance capabilities at a lower price when you choose one of the many certified pre-owned vehicles at Haron Jaguar, including popular models like the Jaguar XF, Jaguar XJ, and Jaguar F-TYPE. Every CPO Jaguar has less than 100,000 miles on it and is less than six years old. In addition, each vehicle receives a 165-point inspection of all major systems and parts, and if anything needs to be repaired, it is either fully refurbished to like-new condition or replaced with a new Jaguar OEM part. A full vehicle history report also comes with each CPO Jaguar. Take a tour of our Jaguar CPO inventory at Haron Jaguar, and get in touch to find out more. Haron alway's goes above and beyond. My wife love's her Range Rover Sport! Every time she brings it in, if something is found it is fixed. Rental is always provided and never an issue to pick up or drop off. Recent work was done that included warranty as well as emblems that were peeling/tarnished in look. Parts only were charged for new emblems (not under warranty currently), no labor. Very good customer service!!! 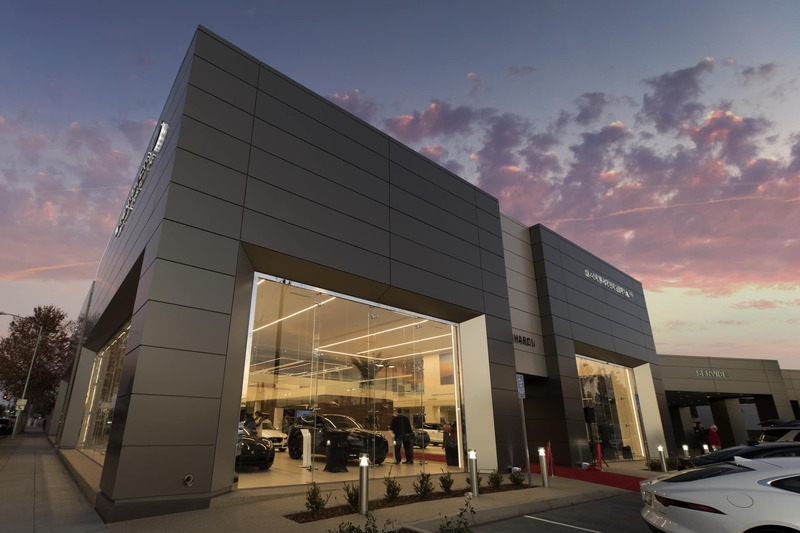 When you’re in the market for a top-of-the-line luxury automobile in Bakersfield, Visalia, Tulare, Modesto, or Madera, you want a dealership experience that’s capable of meeting and exceeding your expectations, as well. At Haron Jaguar, we’ve formed a vision of service and excellence that reflects the premium quality of the vehicles we sell and service. Stop by our facility today, and check out our impressive variety of new Jaguar vehicles like the Jaguar XJ, Jaguar XF, and Jaguar F-PACE, or take the time to scan our high-quality pre-owned models from Jaguar and other luxury automakers. Every customer that comes to Haron Jaguar is guaranteed personal, honest, straightforward, and helpful service from everyone they work with on our entire staff. Our sales team will help you find the right combination of performance and luxury, and one of our finance experts will help you to secure quick and easy auto financing at a competitive APR rate. Each Jaguar has been designed and engineered to meticulous specifications, so when it comes to maintaining your prized luxury car, you’ll want an expert team on hand at all times. The Jaguar service department at Haron Jaguar has everything you need to make sure your Jaguar runs at its optimal condition for years to come. We also have a full stock of Jaguar OEM parts in stock and on sale for your personal service projects. We’ve been serving the community of Fresno and the surrounding area for over 70 years, and we look forward to doing it for a long time to come. Visit us today at 2222 Ventura St in Fresno, CA.